Ever since I was big enough to remember, I have always loved the mountains. Every summer my daddy would choose a day, wake us up before dawn, load us up in the car, and surprise us with a trip to the mountains. 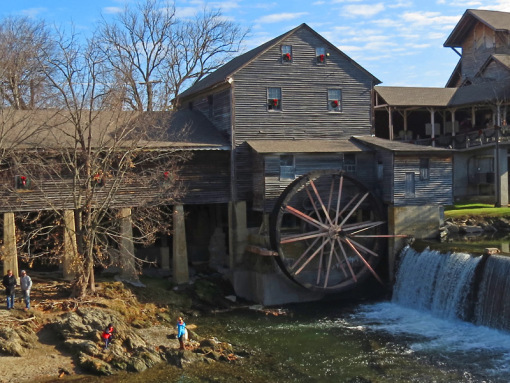 We always went to the same place … Helen, GA. We would explore the town a bit, have lunch, and then drive around. 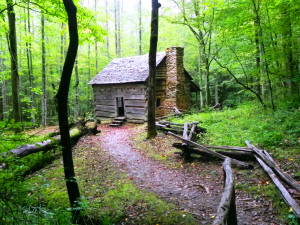 Usually, we would end up at Brasstown Bald and stroll up to the peak. Every trip, he would tell us how you could see seven states from there on a clear day. 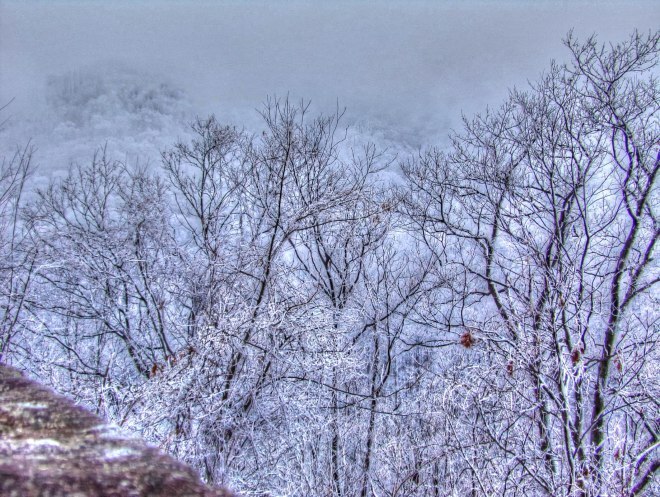 It was always special, and I grew to love those Smoky mountains. To this day, the very sight of those peaks coming in to view fills me with joy. 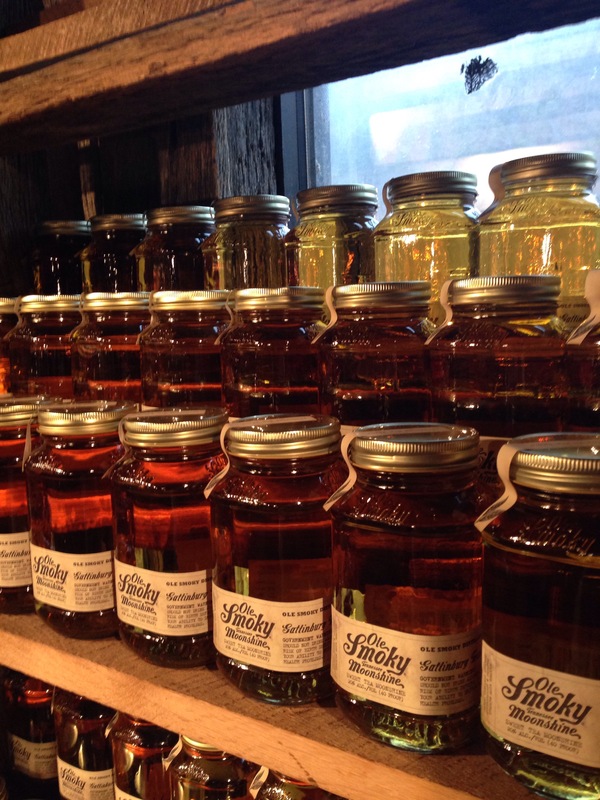 We visited the Ole Smoky Moonshine distillery in Gatlinburg and I was blown away at how amazing it was! 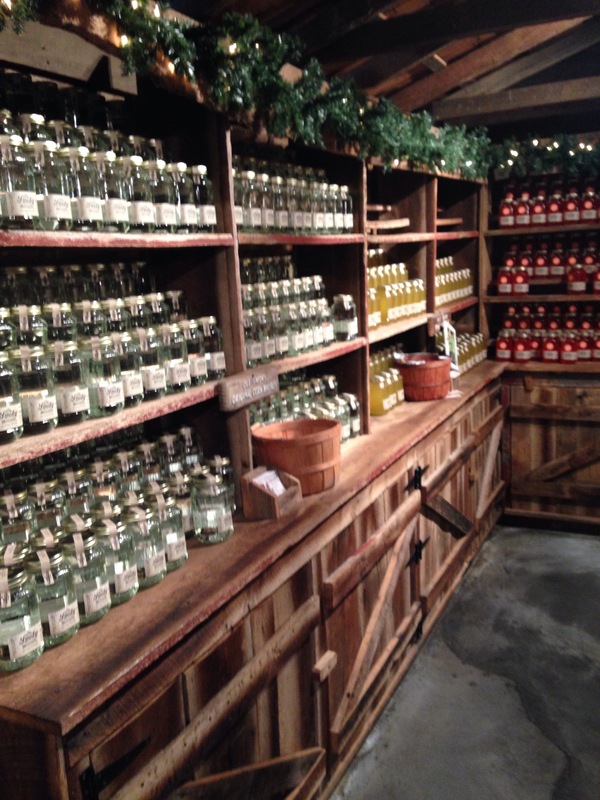 The moonshine is given out in samples for tasting at the bar so we got to try every flavor! Yaeyah! I was warm and fuzzy after all that goodness! The flavors are quite impressive and the alcohol strengths vary. Blue Flame is the highest at 128 proof. 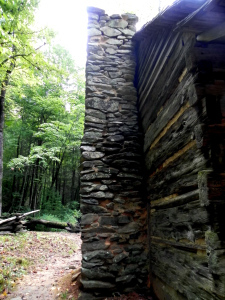 Back when moonshiners wanted to measure the quality and taste of their liquor, they would burn the alcohol and judge it by the blue flame that was produced. Hence, the name. 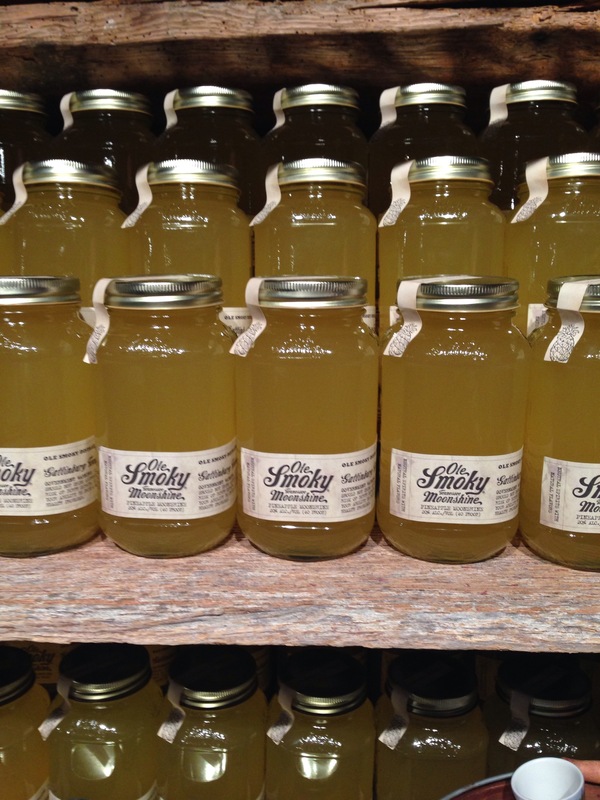 They even had a pumpkin pie moonshine! I was most impressed with the Hunch Punch Lightin. Tastes just like fruit punch. 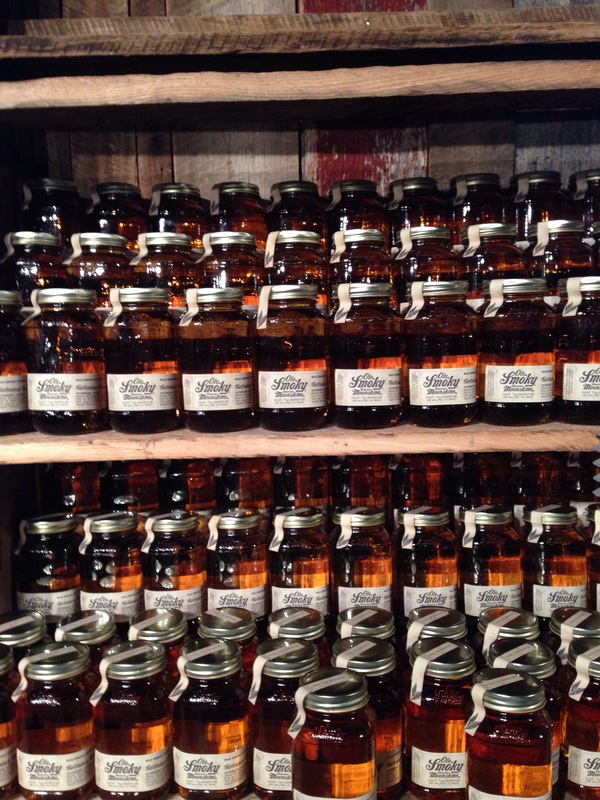 If you want to check out all their flavors, products, and recipes head on over to http://olesmoky.com/ and grab yourself a jar! You won’t be disappointed folks. <! 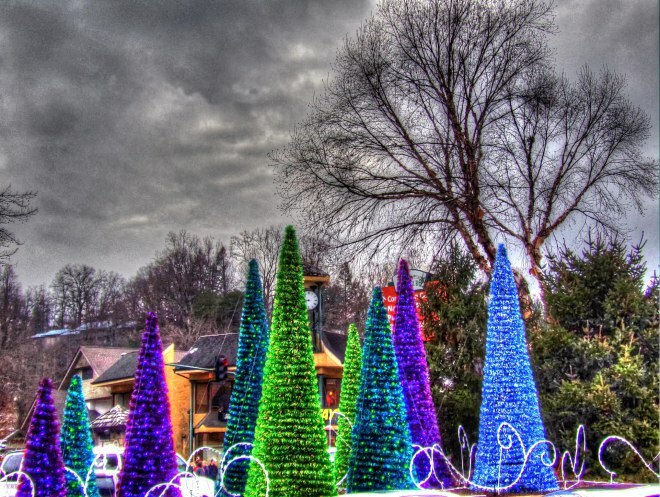 A short drive from the western entrance to the park at Gatlinburg rewarded my family with a winter wonderland not predicted by the weathermen. 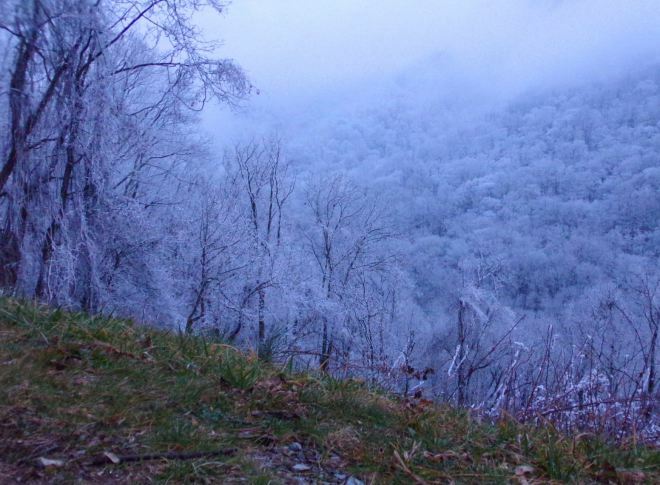 The temperature was dropping to freezing as we climbed, and suddenly snow covered the trees and branches on the higher ridges. This was a total surprise. Every bend in Highway 441 revealed more whiteness. The first major overlook was magical with the encrusted trees filling the western horizon. 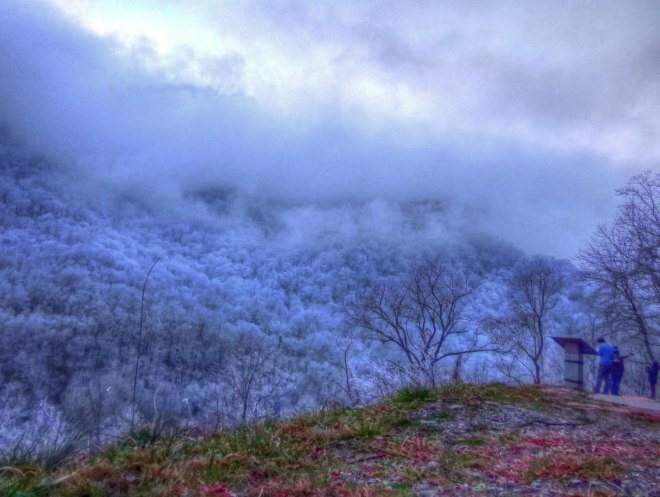 It was almost sunset, and snow clouds hovered above the ridges. 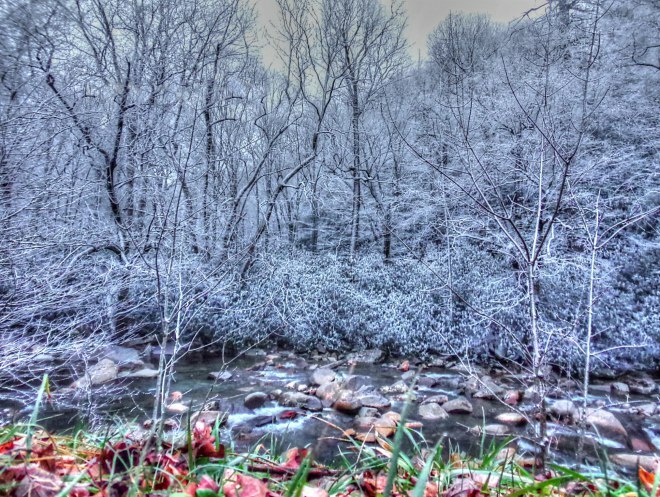 Along the roadway, a creek was framed by the snow, which appeared blue in the dimming light. 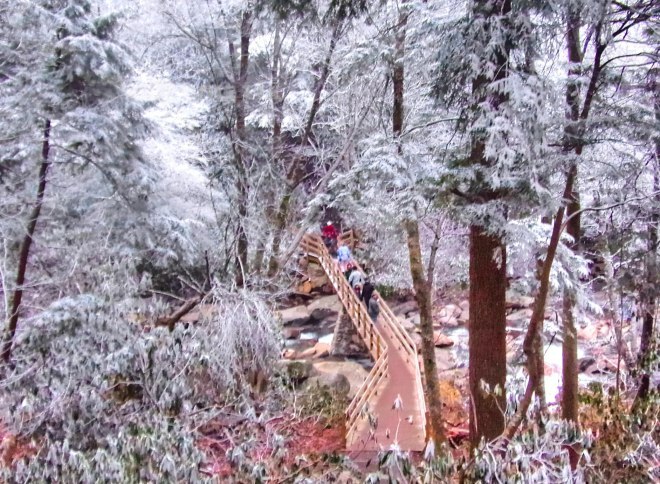 A footbridge welcomed lucky visitors to this unusual winter display. 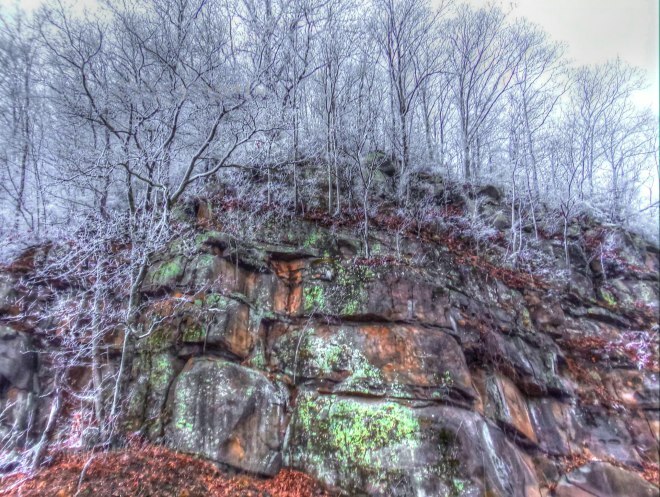 In some places the snow seemed heavier, and the absence of any wind allowed the flakes to cling to the needles. 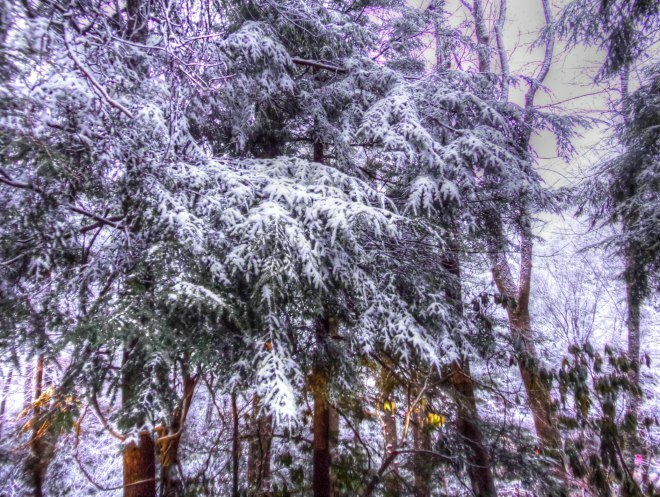 The light was rapidly disappearing, but the beauty was frozen all around us. 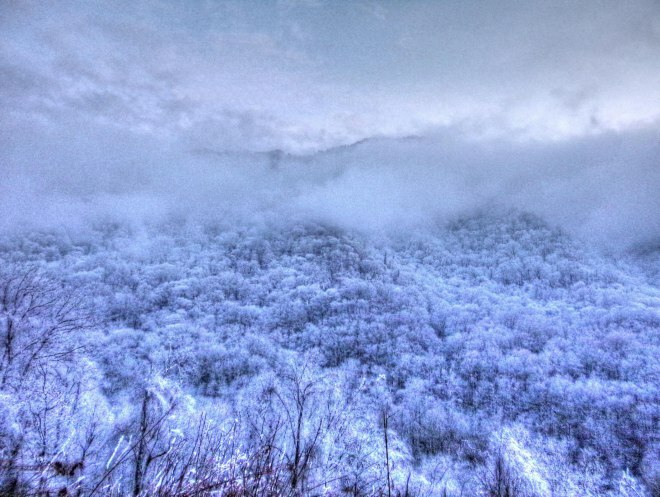 There are many places where you can welcome the New Year, but to be in the Great Smoky Mountains has to be one of the most rewarding. 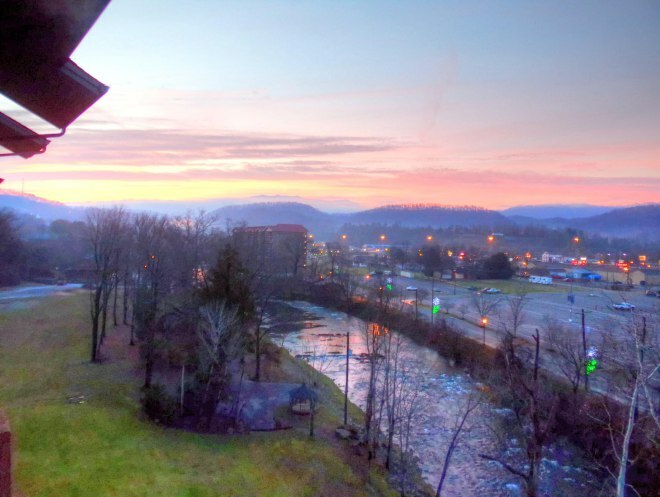 The sunrise over the Great Smoky Mountains National Park from adjacent Pigeon Forge was reflected in the Little Pigeon River below. 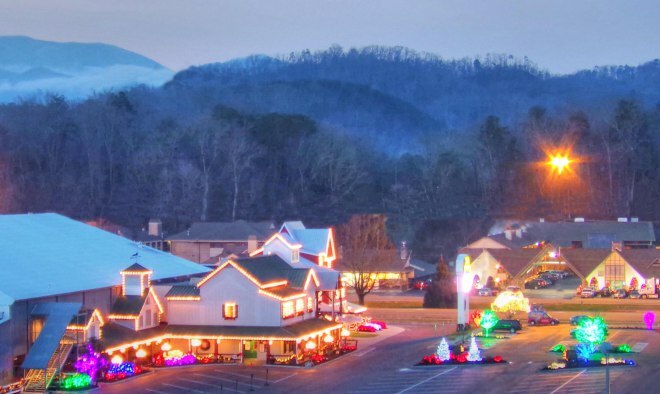 Gatlinburg and Pigeon Forge are known for their holiday light displays, and even a restaurant parking area can become a place of wonder at sunrise. 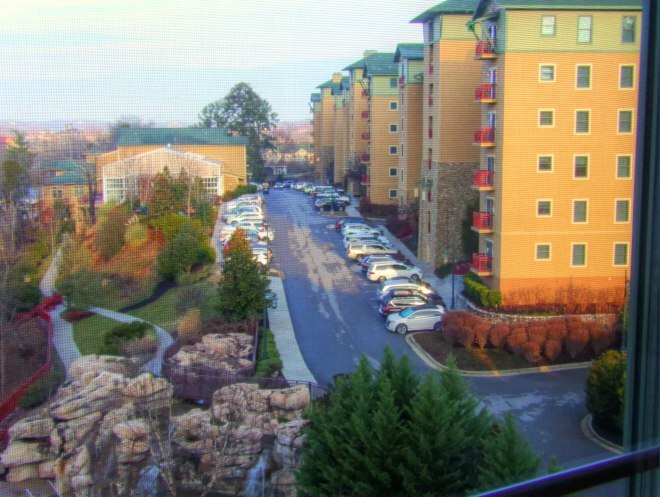 Resorts, like Riverstone Resort and Spa in Pigeon Forge, can be found throughout the area. It might be winter, but all the rooms were taken, and restaurants had two hour waits for a table. Go figure…. 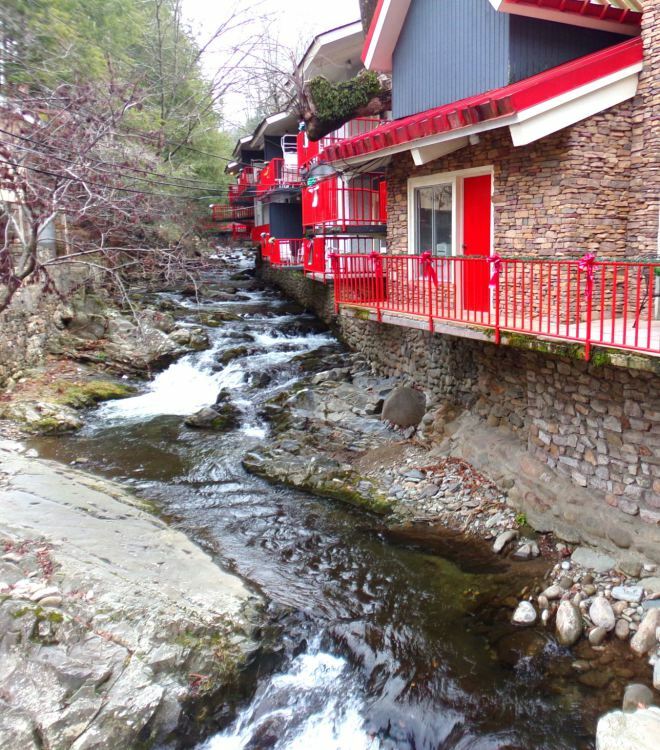 Gatlinburg features quaint hotels with balconies suspended above rushing creeks. 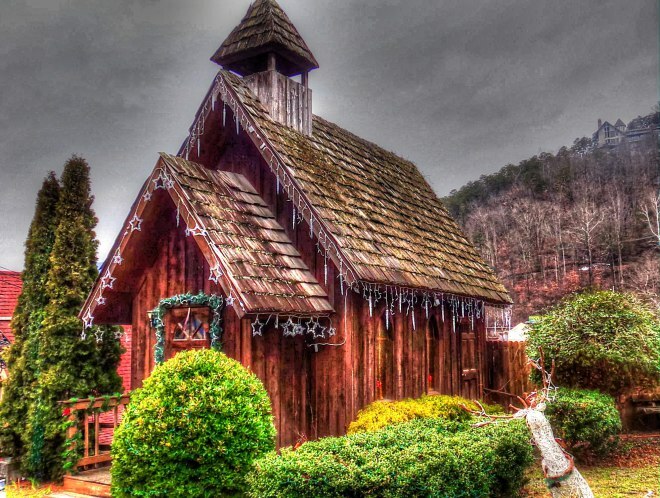 This historic chapel survives in the midst of traffic and throngs of visitors.